Doesn’t HR Transformation of any organization talk on the similar lines? 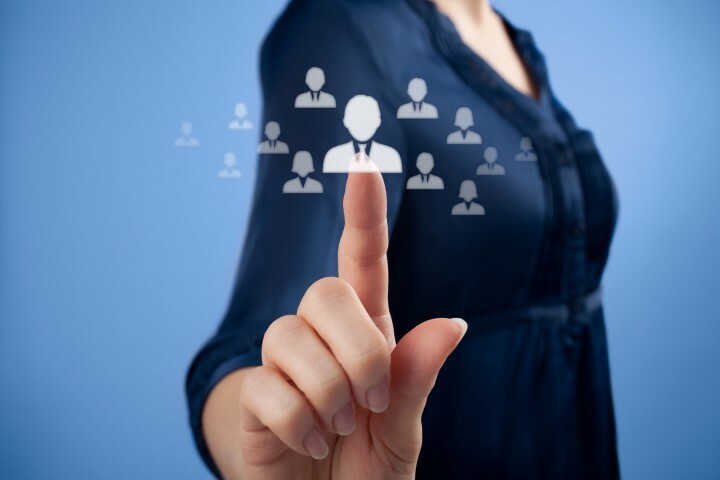 HR organizations are rapidly undertaking a wide range of initiatives to better support their people and the business, including re-engineering key HR processes, refocusing core HR roles and capabilities, moving toward shared services and implementing new HRMS systems. And if you’re embarking upon big changes like HR Transformation, then you must know that to make this a reality, you must first factor in all the business needs and a thoughtful approach to realize it. However most importantly, CHROs are required to have a deep understanding of the choices in hand to keep the process aligned with the end business goals. By choices, I mean the types of HR Transformation you wish to pursue, is explained in my previous article. The ongoing economic pressures mean that organisations need to constantly keep looking at ways to improve business processes and stay steps ahead of the game, i.e., to bring about transformation. Let’s be honest, it’s easier said than done. Let’s understand this with an example of “Rip and Replace” type of HR Transformation. For CHROs, Rip and Replace transformation isn’t a light decision, because it is extremely disruptive to the business in progress. Further it demands for strong reasons and support to execute the same. Another thing to notice in ‘Rip and Replace’ transformation is that, it’s scope is not just limited to replacing old systems and processes with the new flexible ones but also encompasses a change factor of other types of transformation as well, like data correction, process correction and system adoption. What does this reflect? You’re basically executing all types of HR Transformation in a single Rip and Replace type. But the approach that is considered is to bring about a mini HR Transformation rather than a complete one. Mini Transformation is to carefully analyse the areas that are unresponsive to your current installed HR system/processes/culture and to make it all the more effective by considering a specific module adoption. This could also be specific process correction or historical data correction. The idea is to identify the key areas responsible to bring about a tangible business benefit with immediate effect. Once you articulate the business benefits of mini transformation, it becomes easier to decide upon the bigger changes pertaining to HR Transformation. Transformational change can be difficult for people within the organisation, since we as humans are creatures of habit and change can upset routines, processes and sometimes requires relearning of how to do things. So, here comes another best practice in the context of any HR Transformation initiative. Monitor ‘internal resources capability‘, ‘change acceptance culture‘, and ‘external vendor flexibility‘ throughout the mini transformation initiative to lay an effective plan for the ultimate HR Transformation project. This should be real and be able to bring about the desired result. Trust me, half the battle is won if we measure these 3 elements right from the start of mini HR transformation or the Pilot HR Transformation project. To be absolutely honest, your vigorous efforts to achieve successful transformation don’t end here. So far we have talked about the process and the management of HR transformation initiative. Now, it’s time to reflect upon the most imperative aspect of the same, i.e. Final Execution. You have taken note of learnings from your recently undertaken mini HR Transformation Project. You have chosen a HR Cloud Solution to leverage on the existing mature HR processes (not best practice) that can be referred (not adopted as is). Now we are ready to embark upon this HR transformation journey. But hey, we’re in to tackle the most difficult aspect of it: Sync between the external consultants and the internal project team. Though external consultants and the internal project team share the characteristics of helping the organization address the business problems as well as improve business results. External consultants are often brought in because they bring wisdom, objectivity and expertise to the organization; whereas internal consultants are valued differently as an organization insider with culture and processes. Unfortunately, for traditional reasons, the job of the internal consulting team is to follow the bible of the work, i.e., SOW (Statement of Work) and have (many-many) project discussions with external consultants so as to deliver the SOW line-by-line. Because 90% of the SOWs are pathetically written by the sales team, encapsulating enormous promises that eventually becomes hard to deliver by the external consultants. Such promises include hard to meet timelines and the relevance of the solution to meet business goals. Furthermore, this traditional approach leaves the internal consultants incompetent to operate the installed systems, let alone manage the same. This calls for training as well as change management efforts to achieve positive outcomes of the system, after it goes live. Let’s assume your HR Transformation has a timeline of 50 weeks. Reserve 20% of the project timeline to the internal consulting team. During these 10 weeks, internal consulting team should prepare all the critical work elements of the project in order to run it within the defined timelines. Preparation on part of the internal consulting team is to be undertaken only after the external consultant team is chosen, however before the project kicks off (to avoid the bill!). The preparation on part of the internal team should include preparing a clear version of as-is processes, comprehensive business case with clear KRA’s for the final solution and to clean data files to name a few among many other elements. When the external consulting team comes to the forefront, internal team should always remember that the end solution will be consumed by them and the best approach to get the desired positive result is to co-distribute tasks open-mindedly so that dependency on external consultants is minimal after the project is over. Such steps help internal team to effectively use the system as well as to get trained on the same. It also provides them with the scope to train people in the organization on the system adopted and result in effective change management. Thus, it is imperative for external as well the internal consultant to stick to their common objective of bringing organization success through transformation and strive to work as closely and as open-mindedly as possible. This mindset plays a long way in a stable system adoption, less reliance on external consultants’ post the system goes live and more control to the internal team on the system. Teams and people will resist change because there is fear of the unknown, that creates conflict and fear in the workplace. But good communication is a critical concern during all times of change with all the people involved in it. Strong communication processes help to minimize the uncertainty and the fear associated with change. Be sure to follow the best practices and you’re good to go on the road to your organizational transformation. Rolling Arrays is Asia’s premier award winning HR Transformation Company, headquartered in Singapore with offices in 6 countries. Since its inception in 2009, Rolling Arrays has successfully delivered more than 100 HR transformation projects for more than 50 blue-chip clients across Asia.